How to filter contacts by organization? 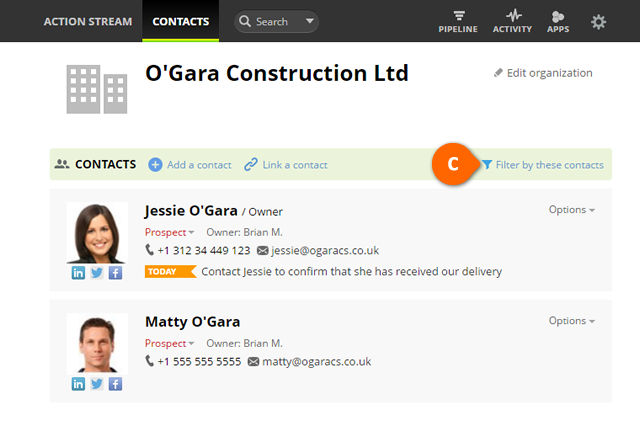 To filter contacts by organization you have to ensure that your contacts for the same organization are already linked. View more info about linking contacts. Filter the list by choosing the first letter of an organization name (see B). Open the organization of your choice. Click on Filter by these contacts link on the account summary view (see C). 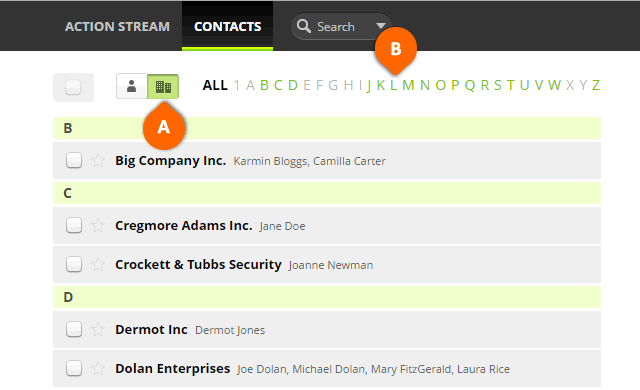 Filtered contacts appear in your Action Stream with a collapsible LINKED CONTACTS section (see D).